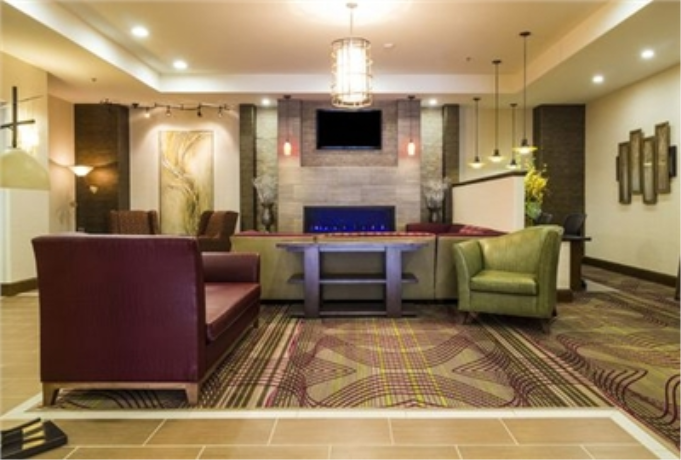 The Holiday Inn and Suites Durango is one of the newest and most modern hotels in the Durango. 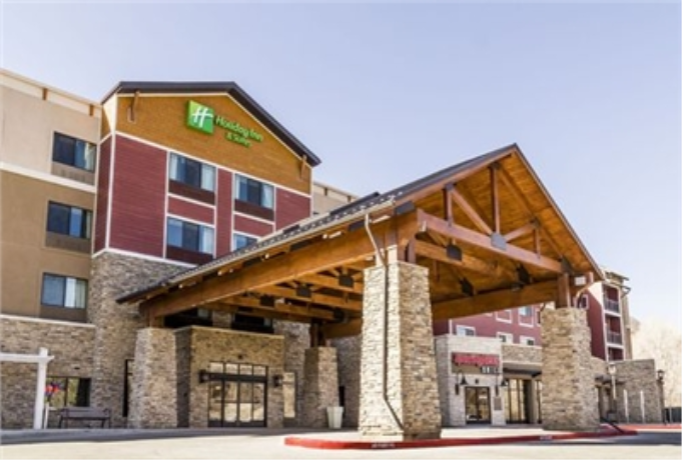 This Hotel is conveniently located off Highway 160 and less than a 5 minute's drive from downtown Durango. Guests are only minutes from many popular area attractions, a variety of restaurants, shopping and entertainment. This beautiful 100% non-smoking hotel offers a restaurant, bar, and room service. Groups will appreciate their 2500 square feet of flexible meeting space that can comfortably accommodate up to 120 people.The contemporary, sophisticated design offers a plethora of amenities such as spacious guestrooms and over-sized suites, luxurious new bedding, indoor pool, whirlpool, business center, and a fitness area. All Rooms feature luxurious new bedding and plenty of thoughtful amenities, including a desk with ergonomic chair, 42inch LCD HD televisions and an eco friendly lighting system. Lastly all of our rooms come equipped with mini fridges and microwaves. King bed, upholstered chair and ottoman, microwave, mini fridge, Keurig coffee maker. Sleeps 2 adults. KING BED TWO ROOM SUITE DESK TABLE WITH TWO CHAIRS WITH SOFA BED LOUNGE CHAIR WET BAR MICROWAVE AND REFRIGERATOR TUB AND TUB/SHOWER. All Rooms feature luxurious new bedding and plenty of thoughtful amenities, including a desk with ergonomic chair, 42inch LCD HD televisions and an eco friendly lighting system. Lastly all of our rooms come equipped with mini fridges, microwaves, coffee maker, iron & ironing board and a hairdryer! Cancellation	| Cancelations must be received by 6pm on the day of arrival for refund. Deposit	| One nights lodging is due at the time of booking, the remainder of the balance is due 30 days prior to arrival. Pets	| Some pet friendly rooms available. Pet rooms require a $25 fee per pet per stay. A waiver must be completed upon check in as well. Other	| Cancelations must be received by 6pm on the day of arrival for refund. One nights lodging is due at the time of booking, the remainder of the balance is due 30 days prior to arrival. Children	| Kids under 12 eat free from the children's menu in our Sporting News Grill restaurant!